The Lagos State University, LASU Bursar, Adetayo Hassan, Gets Conferred With Doctorate Degree In Corporate Financial Management By the European American University. 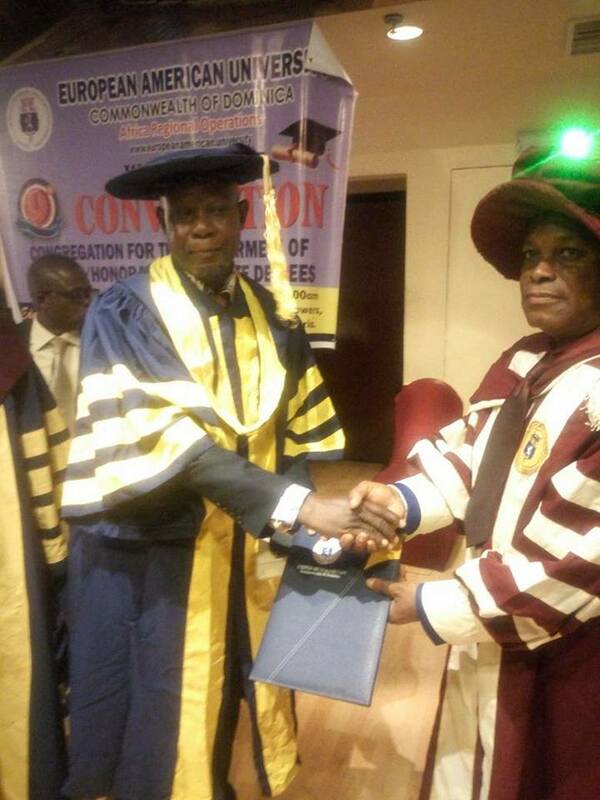 The sound of celebration is loud and clear in the Bursary Department and indeed the entire Lagos State University Community as news filtered in on Saturday, 28th April, 2018 that the Bursar of the Institution, Alhaji Adetayo Hassan has been conferred with a Doctorate Degree in Corporate Financial Management by the European American University. The honour was conferred at the Sheraton Hotel, Ikeja, Lagos State, Nigeria. The Degree is another endorsement of the accounting guru's resourcefulness, professionalism and administrative acumen and a pointer to the competence and professionalism of Lagos State University members of Staff.